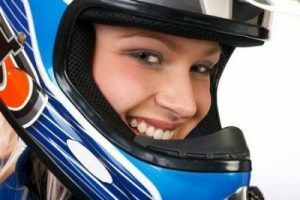 Why Is It So Important To Wear A Helmet On Motorcycles? The head and brain is most vulnerable to injury in a motorcycle accident. Drivers and passengers wearing helmets increase their chance of survival significantly over non-helmet wearers. It is important for motorcyclists to understand the risks of riding without a helmet. Riders who do not wear helmets are at risk of suffering a traumatic brain injury if they are in an accident. Without protection, the head is vulnerable to a traumatic impact in an accident even when traveling at low speeds. National Highway Traffic Safety Administration studies of non-fatal motorcycle injuries reveal that riders who did not wear a helmet had higher health care costs, longer hospitalization, longer recovery periods, and an increased loss in quality of life. Traumatic brain injuries that are non-fatal usually have serious and long-term results. Brain trauma often results in spinal cord injuries and disability that require extended care and physical therapy. In addition, the damaged brain may deteriorate after hospitalization and die days to weeks after the injury due to secondary injury. Because of the fatal risk of traumatic brain injury is so high, it is crucial for motorcyclists to take action to protect themselves while riding. Wearing a helmet that is approved by the Department of Transportation is one of many precautions a rider can take to increase safety on the open road. Even when a rider takes all possible precautions, accidents resulting in injury still occur. When you or a loved one are involved in a motorcycle accident leading to serious injury or death, you will need a lawyer experienced in personal injury law to help you navigate the legal options available to you. The lawyers at Mainor Wirth stand ready to consult with about the details of the accident and provide legal advice based on your individual case and needs. The information in this blog post is not intended to provide legal advice. If you need advice, please contact our office for an analysis of your individual case. Contact the office of Mainor Wirth Injury Lawyers at 702-464-5000.